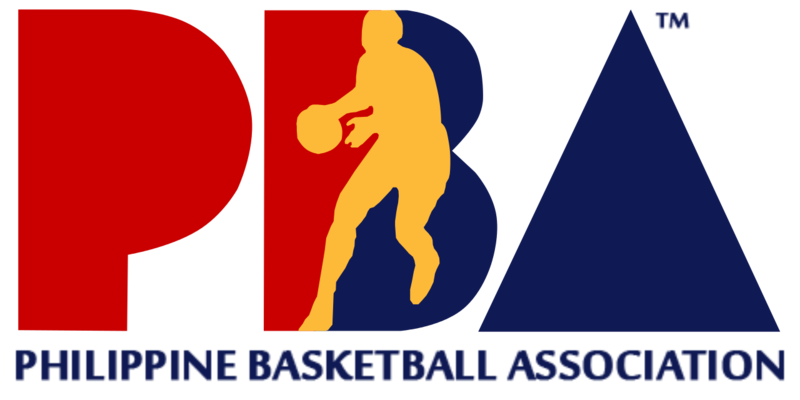 The Philippine Basketball Association (PBA) is a men's professional basketball league in the Philippines composed of twelve company-branded franchised teams. It is the first professional basketball league in Asia and is the second oldest continuously existing in the world after the NBA. The league's regulations are a hybrid of rules from the NBA and FIBA. The league played its first game at the Araneta Coliseum in Quezon City on April 9, 1975. Their main offices are located along Eulogio Rodriguez Jr. Avenue (C-5 road), Eastwood City, Libis, Quezon City. The Philippine Basketball Association was founded when nine teams left the now-defunct Manila Industrial and Commercial Athletic Association (MICAA), which was tightly controlled by the Basketball Association of the Philippines (BAP), the FIBA-recognized national association at the time. With the BAP controlling the MICAA, the league was de jure amateur, as players were only paid allowances. This is much like what was done in other countries to circumvent the amateur requirement and to play in FIBA-sanctioned tournaments such as the Olympics. MICAA team owners are not pleased on how BAP, then led by Gonzalo "Lito" Puyat are taking away their players to join the national team without consulting them first. The teams that bolted away from the MICAA are the Carrier Weathermakers, Crispa Redmanizers, Mariwasa-Noritake Porcelainmakers, Presto Ice Cream, Royal Tru-Orange, Seven-Up Uncolas, Tanduay Distillery, Toyota Comets and the U/Tex Weavers. Leopoldo Prieto, the coach for the Philippines at the 1956 Melbourne Olympics, was appointed as the first commissioner and Emerson Coseteng of Mariwasa-Noritake was chosen as the first president of the league's Board of Governors. The first game of the league was held at the Araneta Coliseum on April 9, 1975, featuring Mariwasa-Noritake and Concepcion Carrier. During the mid to late 80s, Jaworski and Ginebra San Miguel became the league's most popular squad for their "never say die" attitude. The team had intense rivalries with the Tanduay Rhum Masters and Jaworski's then-rival Fernandez, and later the expansion Purefoods Corporation and players Alvin Patrimonio, Jerry Codiñera, Jojo Lastimosa and Fernandez. The early 1990s saw Ginebra and Shell forming an intense rivalry that included Ginebra's walkout in 1990 finals against Shell and the team's dramatic comeback from a 3-1 deficit to beat Shell in the 1991 First Conference. Patrimonio, Allan Caidic, and a host of others became the league's main attraction. In 2004, the league introduced drastic scheduling changes, when it decided to begin the season in October instead of January. The change in starting the season allowed the league to accommodate international tournaments held from June to September and it fit better with college hoops, the NCAA and the UAAP, whose seasons run from June to October. The league also reduced the number of conferences from three to two, renaming the All-Filipino Cup as the Philippine Cup and introducing a new import laden tournament named as the Fiesta Conference. To accommodate these changes, a transitional tournament, the 2004 PBA Fiesta Conference was held from February to July, which was won by the Barangay Ginebra Kings. The league also began to hold the annual All-Star weekend in the provinces, alternating from Luzon and Visayas/Mindanao provinces every year. On May 19, 2013, the third game of the PBA Commissioner's Cup Finals between the Alaska Aces and the Barangay Ginebra San Miguel set the all-time basketball attendance record of 23,436 at the Smart Araneta Coliseum, which broke the previous record of 23,108 set 11 days earlier that featured the semifinals series doubleheader between Alaska vs. San Mig Coffee and Barangay Ginebra vs. Talk 'N Text. This record was eventually broken on February 12, 2014, when the seventh game of the 2013-14 PBA Philippine Cup Semifinals series between Barangay Ginebra San Miguel and San Mig Super Coffee Mixers set the all-time basketball attendance record of 24,883. Unlike other leagues, there is no "season champion" of the PBA. Instead, the season is divided into conferences or tournaments (not to be confused with the definition of a "conference" in a sporting context as a grouping of teams based on geography or historical affiliation), wherein the teams compete for a conference cup. The winners of the conference cups do not face each other at the end of the season to determine the season; instead all conference champions are league champions, with the Philippine Cup being the most prestigious conference of the season. A season is usually composed of three conferences. Since the 2010–11 season, the conferences were named Philippine, Commissioner's and Governors' Cups, usually ending in a best-of-seven series where the winner takes the conference cup. If the same team wins all of the conferences, then the team is said to be the "Grand Slam" champion. A draft is held after the ending of Governors' Cup. An opening ceremony is held before the start of the first game of the season.